Courtesy of RE/MAX The Woodlands & Spring. One story Village Builders patio home on a cul-de-sac in Alden Bridge! 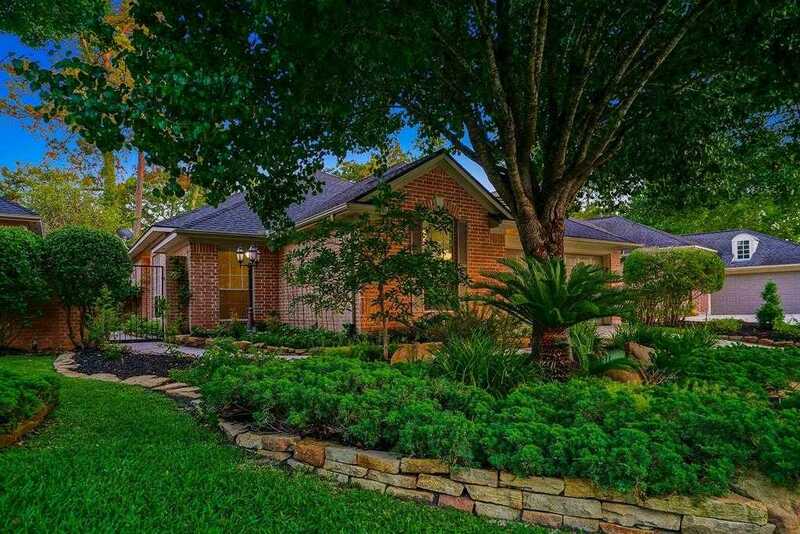 Impeccably landscaped front and back, extensive tile floors, beautiful crown moulding, soaring ceilings, built-ins, graceful columns, art niches and abundant windows make this home light and airy. Open concept kitchen with Corian counters, SS appliances, double oven and breakfast bar overlooks breakfast room and den with gas fireplace (washer/dryer/fridge included); three spacious bedrooms; two full baths; study with French doors; two car attached garage; private and easy maintenance fenced yard has covered patio and hot tub with rock waterfall. Close to area pool, parks, hike/bike trails, restaurants and shopping!